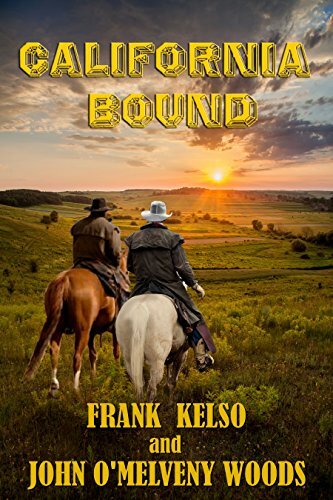 Lawmen won’t … The Cavalry can’t … 2 Civil War veterans wade the Rio Bravo to find a stolen girl! In a Union POW camp, Jeb & Zach dreamed of California Gold, but the road West leads Jeb to his sis's home in Texas. Jeb & Zach are God-fearing, hard-working, honest southern boys--if you don’t count stealing Gen. Sherman’s horse. A border war raged on the Rio Bravo near Eagle Pass TX! Cattle rustled! Ranches burnt! Innocents killed or kidnapped! Confronting 2 Cortina men in a saloon turns ugly … Jeb is wounded … one Cortina man escapes to alert Cortina. A young widow tends Jeb in healing after the Doc sews him. Jeb and Zach take a shine to the bold and sassy lady. “Aww, man. After all the time we been together, are we gonna fight over a woman” … “No fight needed,” Jeb said. “She’s gonna decide, then get us think it was our idea.” … “She always does,” Zach replied. Jeb & Zach trick Cortina to rescue Rebecca but Cortina cross the Rio Bravo to take Eagle Pass hostage! Either Jeb & Zach surrender to him or he burns the town!